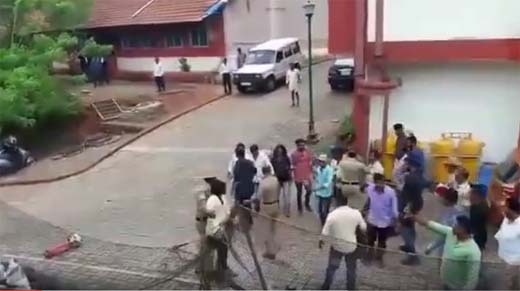 Mangaluru June 11, 2016: Mangaluru Police have succeeded in detaining the accomplice of Japan Manga alias Raju who attacked the home stay accused Subhash Padil on June 4. The accused identified as Prashanth was arrested near Bunts Hostel circle on June 10. It is said that, Sushanth helped Japan Manga to reach court premises in a motorcycle. The arrest was done under the guidance of SI Shantaram PSI Madan, and constables HC Anand, Jayaram. Sushanth has been produced before the court by Mangaluru Police.